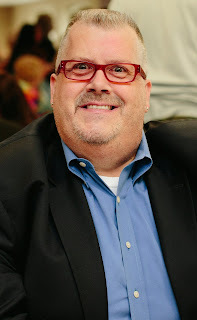 Thomas MacEntee is a genealogist specializing in the use of technology and social media to improve genealogical research and as a means of interacting with others in the family history community. Founder of GeneaBloggers and High-Definition Genealogy, Thomas is a popular speaker at conferences and other venues. We are delighted to welcome Thomas to Ohio. We are going to try something different this year. We are going to have the "meet and greet the speaker" on Friday evening. The library will stay open until 8 p.m. for those coming early. We hope this may also give you some time to do a little research on your own. The library will maintain regular hours on Saturday, October 3, closing at 5 p.m.. We hope you will be able to join us. Researching your family history can be fun, but like many hobbies, it can turn into an obsession, and an expensive one at that. There are many ways to save money while you pursue the “hunt” for your roots: some are just common sense while others are, quite frankly, ingenious. Cloud computing is fairly simple when you think about it. Basically, instead of storing your data on your own computer, you agree to upload that data to a server provided by a vendor. You then can access that data from various devices including laptops, tablet computers and mobile phones, depending upon the vendor you select. Often, in the absence of official governmental documents such as vital records,newspapers can help establish and prove basic birth, marriage and death information about our ancestors. In addition, a newspaper listing, such as an obituary, can be a starting point for further research and assist in generating research “to-do” list ideas. When it comes to your years of genealogy research and material, what plans have you made to ensure that it doesn’t die with you? Here’s some advice on creating a realistic plan to get your “genealogy affairs” in order so that the next generation of researchers can benefit from your years of hard work. This event will be held at the Quality Inn & Suites Conference Center, 1000 Comfort Plaza Dr, Bellville, Ohio 44813. Just off of I-71 and one mile west of the OGS Library. By calling Quality Inn directly at 419-886-7000 and letting them know you are coming for the OGS Seminar, there is a discounted rate of $93 per night for a room with 2 queen beds, and a discounted rate of $101 per night for a room with a king bed, refrigerator, and microwave. There are still a few rooms left for both Friday and Saturday nights. There are numerous eating establishments in the area within a short distance. Or you may bring your own lunch.Doughnuts and coffee will be provided in the morning. There is a $40 fee for OGS members and a $45 fee for non-members. We are saving room just for you! Click here to make your reservation now. You won't want to miss this one!